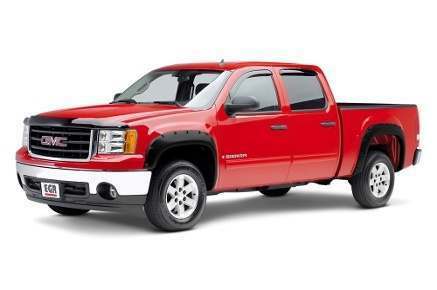 Focusing completely on truck accessories, EGR USA is a household brand name for serious truck enthusiasts. Backed by a company that has its hands in over 180 industries, EGR has the experience and hands needed to create a product that's built to last. 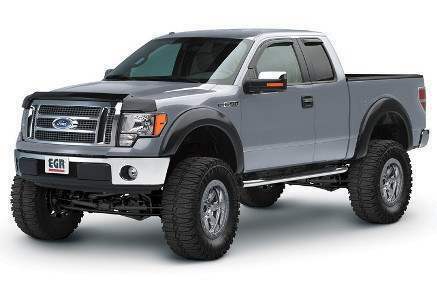 EGR's fender flares are available in OEM, Rugged and Bolt-On styles. Despite the looks and name of the Bolt-On Style fender flares, these flares are actually very easy to install. In fact, they don't require any drilling at all as the bolts are just for show. These fender flares are perfect for customers looking to beef up their own truck while intimidating other trucks on the road. 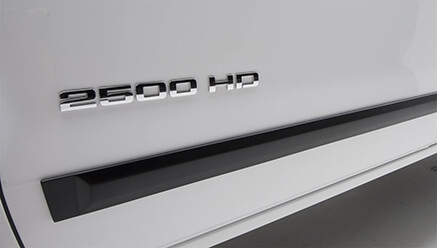 If your truck didn't roll off the lot with an upgraded appearance, worry no more. The EGR OEM Style fender flares are what's on order and will easily give your truck that fresh "off the showroom floor" look that you only get with upgraded trim and appearance packages. 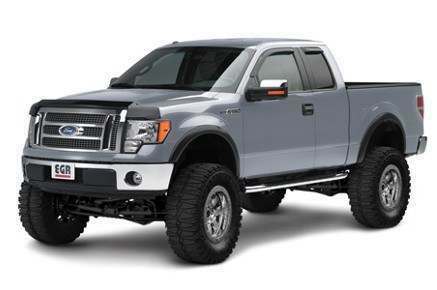 If your truck's tires are busting at the edges, the Rugged Style fender flares are what you need. These fender flares provide extra coverage that slimmer styles cannot provide, making your truck road legal for oversized tires. One look at these fender flares on your truck and everyone on the road will know who's boss. 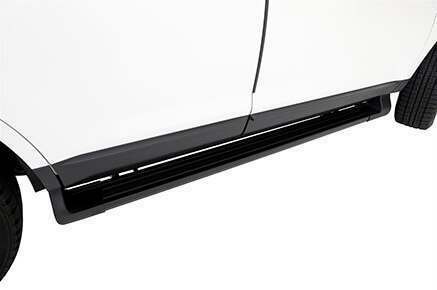 Protect your truck doors with the EGR Matte Black Side Molding. This helps secure your vehicle from dents and other damages, especially in the parking lot. 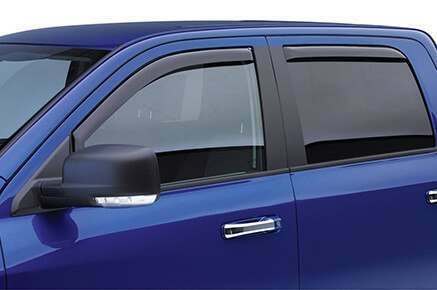 Its stylish design adds to the appeal of your truck and the materials used to make the molding ensures long-lasting protection. Aggressive, sleek and stylish design, the EGR Riveted Body Molding gives your truck an added layer of protection with that OOMPH factor. 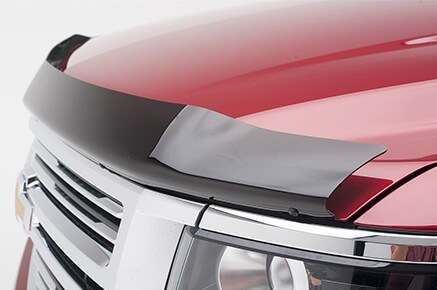 Its stylish design will make your truck look aggressively sophisticated. 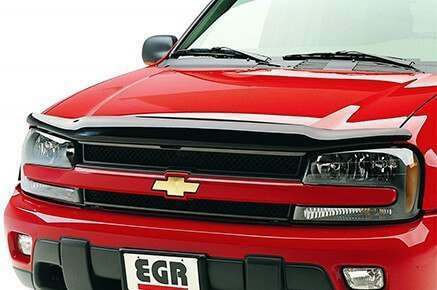 The EGR AeroWrap™ Hood Protector is made to the same fit and finish as a factory part would. It has a full height, full wrap design and is fade and scratch resistant. Installation is easy using your vehicle's existing mount points - no drilling is necessary. The EGR SuperGuard™ Hood Protector is built to be larger than most other hood protectors on the market for extra exposure and protection. It features a glossy finish and is available in smoke, chrome and matte black to match any style preference. Colors available are vehicle dependent; all colors may not be available for your vehicle. 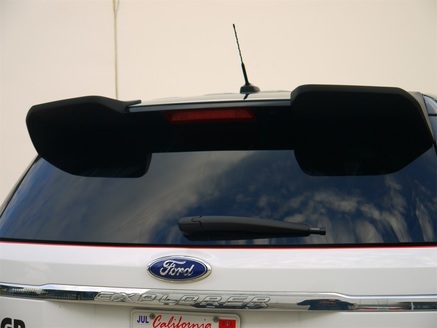 This hood protector features a no drill installation - it uses your vehicle's existing mount hole locations. 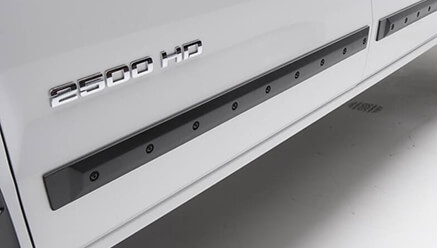 The EGR Integrated Design Running Boards are designed for those that want the convenience of running boards but want something that looks like it was an original factory accessory. These boards complement your vehicle's trim package to make it look like it rolled off the factory floor installed. The caps fully integrate with your fenders and doors and the non-slip surface helps with stepping. The Slimline In-Channel Vent Visors mount within your window channel for an easy, painless, non-permanent installation. 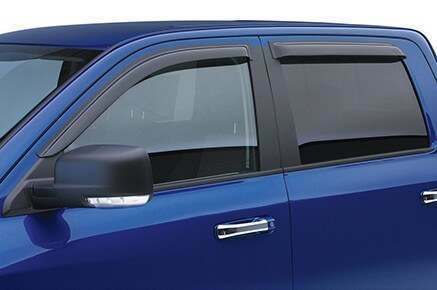 These visors allow cool air to circulate in your cabin and keeps the rain out. Available in smoke, matte black and chrome and sold as pairs or as a set of 4. Slimline Tape-On Vent Visors are applied with adhesive outside your window channel. Vent visors allow cool air to circulate inside your cabin while keeping hot air and rain out. Available in smoke, matte black and chrome to match any appearance or style. Sold in pairs or as a set of 4. No dril installation - applies using the supplied automotive grade adhesive. The perfect addition to your vehicle if you want an instant upgrade without having to break the bank. Plus, this one is very easy to install. So, forget about complicated car parts just to give your vehicle that edge. This is the perfect solution to those who are seeking an a vehicle aesthetic upgrade. Headquartered in Ontario, California, EGR USA is proud to say that over 80% of its products are manufactured right here in the USA. EGR is responsible for over 2,000 SKUs, most of which are geared toward truck enthusiasts. Drawing from experience from their parent company that has hands in over 180 industries, EGR knows how to build a quality product that will last as long as your vehicle. For more information on EGR USA, please visit the EGR USA official website.